Njambi Koikai traveled to US sometimes in February to receive treatment. She was suffering Endometriosis – a condition that made her lungs collapse every time she received her periods. 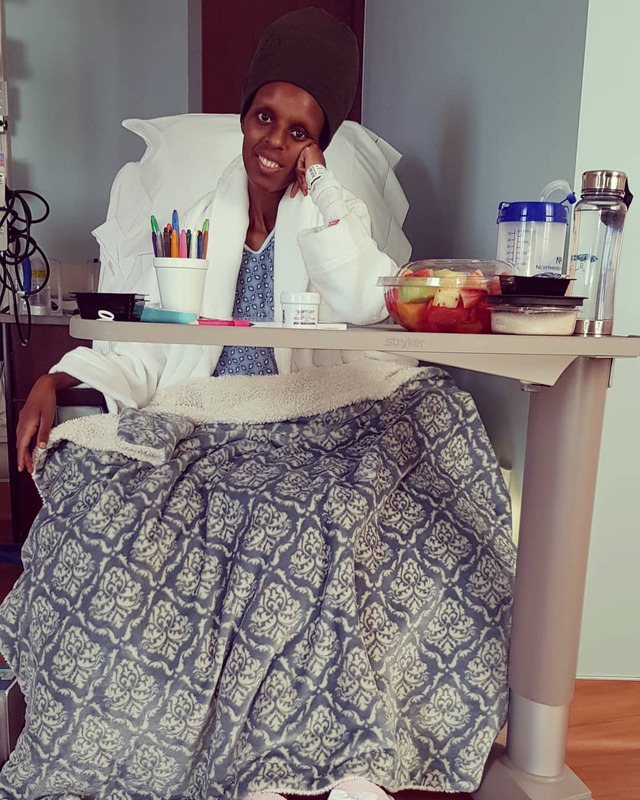 The radio presenter has responded well to treatment, she is however in need of Kes 5 million to pay for the pending hospital bill and cost of therapy. 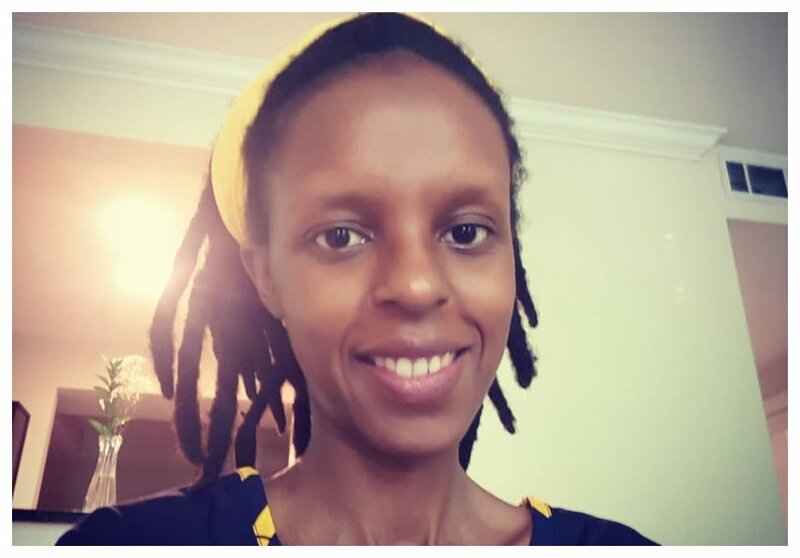 Njambi recently took to social media to narrate how Endometriosis ravaged her life for the past 19 years. She reveals that it all started when she was only 13. “As a little girl, i had big dreams. I was a geeky brainy child. Never did i think that life has it’s own twists and turns. I got my first period at 13. I’d catch the KBS to Ambassadeur and head to school. On this day though, i felt a certain sharp pain in my abdomen. Then i started sweating and you all know how those KBS buses would be so packed in the morning…i felt like I’d just been dropped in the middle of Qatar, Bahrain, Dubai, the Sahara Desert and a little mix of Mombasa with Wajir. Joto mwenda. I turned back and went home. Long story short, I’d started my period. That pain never left my body for the last 19years,” wrote Njambi in part. Njambi says the condition robbed her of a normal life and numerous opportunities. She says that she was even dumped because of the period pains she experienced. “Endometriosis ravaged me from the onset of my period. I learnt to live with it. I learnt to work with it. I learnt to scream and enjoy myself on radio and when i couldn’t work I’d call in sick. I learnt to chin up and read the news on tv with it. I learnt to live with pain. Pain has been a part of me for so long. I’ve lost great opportunities because of this pain. I was dumped because of this pain and i ended up in some crazy relationships. I’ve been receiving treatment and the healing process has not been easy. Endometriosis ravaged my body. There’s healing. There’s hope. We are overcoming. I’m moving over into a new realm of normalcy and I’m ready for it. My prayer is that God will bless me with all the strength to help other women battling Endometriosis. It’s been one heck of a journey but i don’t regret it. These are the lessons I’m carrying forward. God’s faithfulness, grit, endurance, tenacity, faith, hope, truth, love and justice. Jer 29:11. My heart is now being monitored due to a thickening on the outside layer caused by Endometriosis. I’ve dealt with crazy heart rates over the years so I’m now seeing a cardiologist with my other 2 doctors,” Njambi narrated.